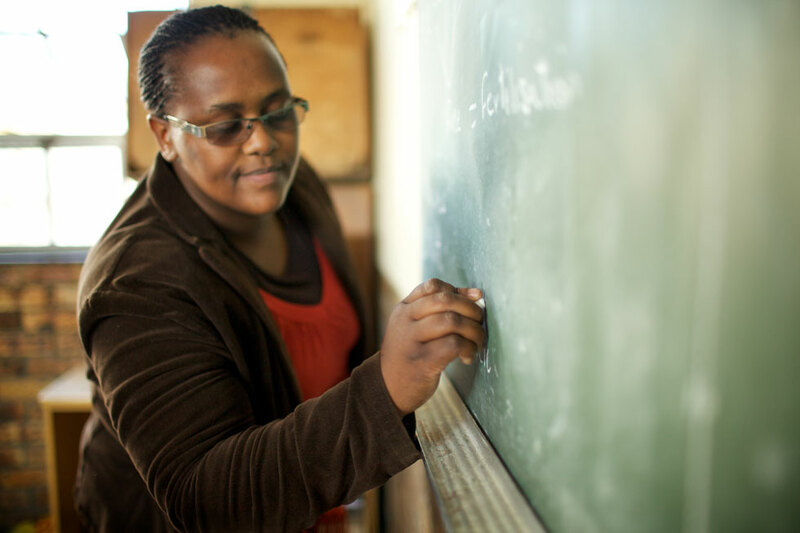 "I am an educator at Vuyani Primary School in Gugulethu, teaching Grade 4 and 7. 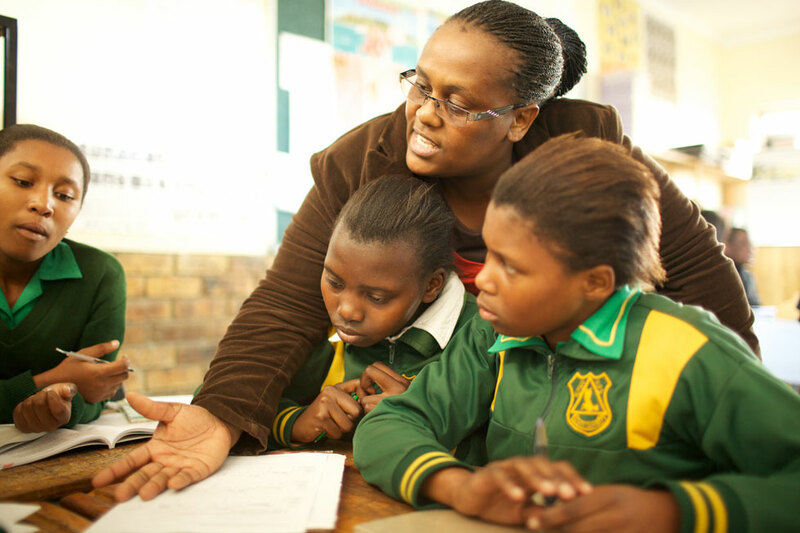 [DLA] DVDs are helpful in teaching and learning. I have been using these resources since the Learning Center project arrived at our school. 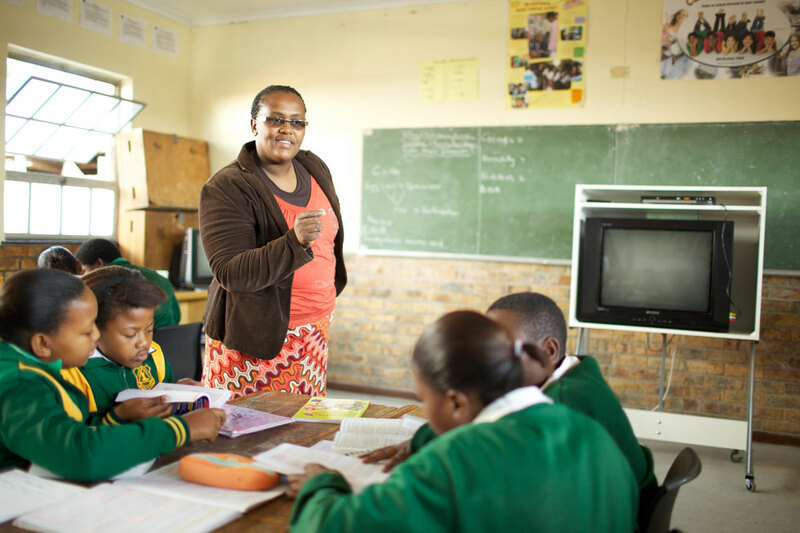 "Being a science educator with not enough resources – such as laboratories where learners can see or make experiments – is not easy, but the DVDs came as a solution. For instance, I used Program 39, ‘The Science of Plants,’ so that learners can see the plant life process (from a seed, how it germinates, until it dies). It helps them to understand because I am able to use the techniques to meet what they require: press ‘Mute’ and explain, ‘Pause’ to have discussions about a particular topic. "Program 34, ‘Mathematics 3’ presents shapes, perimeter, area and volume. My learners were having a problem understanding mathematical language and terminology, but [the DLA] DVDs make it easy for them to understand through practical activities. The DVD shows people measuring. Another example is fractions in Program 33, ‘Mathematics 2,’ where practical activities are applied in everyday life. 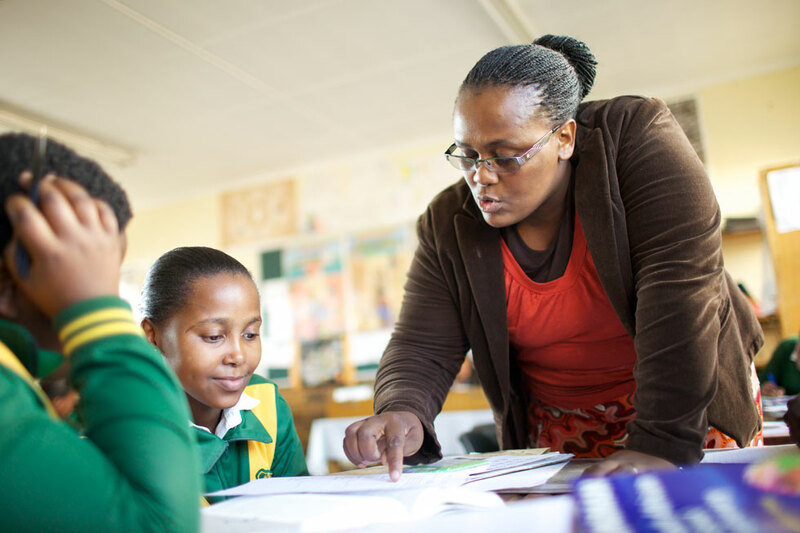 "Through the use of DVDs, I have noticed an improvement in the learners’ willingness and interest in doing science further, and their knowledge and understanding is no longer the same…the material that has a positive impact on our learners’ education and in building the future of our country."